CLINTON, Mo. — The Henry County Honor Coalition is honoring the fallen by impacting the future. "It was a cry from the community in what we can do to be more active in helping the community become a better, more safe place," said Thom Knott, Executive Director of Henry County Honor Coalition. In 2017, the Clinton community lost two of its finest — Officer Christopher Morton was killed while responding to a 911 call at a home; Officer Gary Michael was killed during a traffic stop. "Just complete heartbreak, everybody was shocked," said Sherrie Close of the Henry County Honor Coalition. The tragedies brought the Clinton community together. "We were so hurt by what had happened, that we wanted to draw a strong line in the sand so to speak and say we're not going to take this, we're going to stand up for our officers," said Close. The Henry County Honor Coalition was formed to honor the nation's fallen heroes and those close to home. The community dedicated and planted red tulips around town. "You see little pockets of them all over the city and it just makes you smile because it's people taking charge of their city and taking a tragedy and trying to do something better," said Close. Every school in Henry County wanted to participate. With grant money from ACT Missouri, the coalition was able to provide every school with 135 red tulips to plant, representing the number of officers nationwide who were killed in the line of duty in 2017. 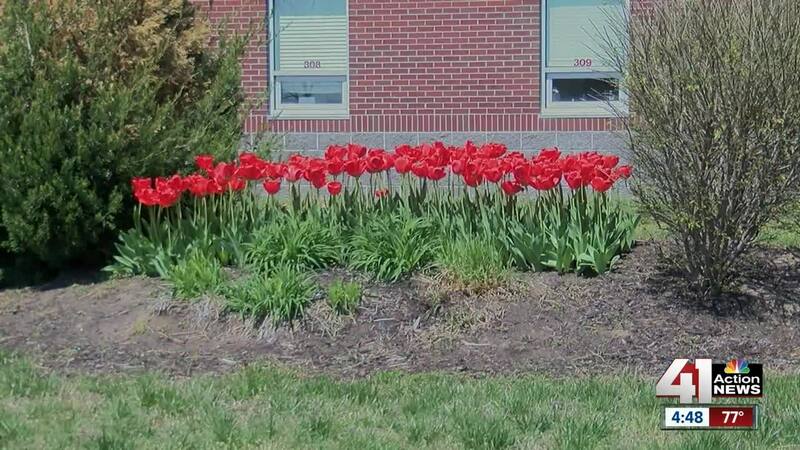 The tulips were planted in October during Red Ribbon Week, a drug awareness campaign. While remembering the lives lost, the coalition is hoping the tulips can also impact young lives. "Everywhere you go, people are talking about the tulips," said Close. The coalition plans to plant 144 red tulips later this year. They will be planted in memory of fallen officers in 2018.